There was a time where the only purpose a bag served was to carry something. Now, just like the phone feature on a smart phone, carrying things seems to be of secondary to people looking for a hang bag, particularly when it comes to travelling. After all, you’ve gotta look good when you’re on the world stage! A person’s handbag says a lot about who they are. Some only go for an expensive label, others for a particular colour or pattern and don’t care about who made it, while for others it’s all about where it came from. Sure, many bags are made in China and passed off as being from a particular locale, but then there are others like British handbag makers-Radley that are distinctly British and having one is almost a badge of British honour. Regardless of what you feel a handbag should do or what it should represent, there’s likely one out there just for you. Here are some places in the that if you visit, you’re likely to notice quite the trend in handbags. While most of these bags aren’t necessarily from these places, it’s handy to know what’s valued in these destinations. 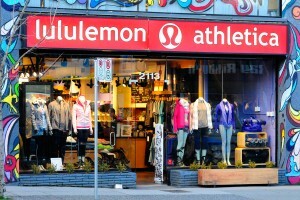 This is the home of Lululemon Athletica, the yoga company that has seemingly taken the world by storm and transformed butts everywhere with their fabulous spandex blend. In addition to active wear, they also make bags and you’d be hard pressed not to see multiple dozens a day using a faux-leather or cloth gym bag as their handbag purely because of the label. Sadly, it’s not made in Canada anymore but that doesn’t mean it isn’t still hugely popular here – and worldwide thanks to their online store. The Japanese love to be fashionable, even if it can be a bit strange, and nowhere is this more apparent than with handbags. Taking a walk down Omotesando or Ginza, you’re sure to see more Louis Vuitton bags than kimonos or samurai swords. While the bags obviously aren’t made in Japan, there is still no shortage of upscale stores that sell these very things coveted by so many. Forget about brand names or labels when you go to Florence – it’s all about tradition for their bags. Leather craft is one of the things that makes Florence famous and you can still buy custom made designs from leather workers for reasonable prices in many of the back alley shops. Venture to the monasteries and sample some of the top-secret designs using methods passed down for generations, with the money going to support the church. What’s more special than that?